Laren is a Pro Bono Counsel with in-depth experience in the global pro bono legal community. She has extensive relationships with public interest legal organizations on local, national and global levels and a passion for increasing access to justice through innovation and technology. Prior to creating InSpirer Consulting in May 2013, Laren served as the Pro Bono Manager at Debevoise & Plimpton LLP, a position she created and brought to the firm, since June 2005. By creating the position, she immediately saved the firm costs by streamlining time commitments for partners and associates who were previously managing the program. In this capacity she managed a practice comprised of 40-50,000 attorney hours/year valued at over $30 million with over 500 active cases per year. She oversaw the day to day practice of the firm’s pro bono work, established infrastructure, best practices, policies and protocols in conjunction with the Pro Bono Committee, and maintained longstanding relationships with public interest legal organizations leading to successful and innovative pro bono projects. 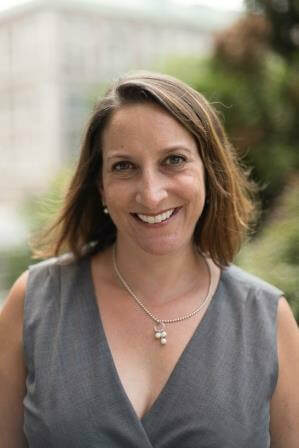 Laren worked for five and a half years at Pro Bono Net before joining Debevoise, working closely with public interest legal organizations nationwide and playing a pivotal role in gathering resources to support the legal relief efforts following the terrorist attacks of September 11, 2001. Before working at Pro Bono Net, she was a litigator in private practice in New York City. She is currently the Director of Pro Bono Programs at Columbia Law School. Laren graduated from New York University School of Law in 1997, and earned a B.A. in Sociology with a minor in Women’s Studies from Tufts University in 1992. She is admitted to practice in New York and Massachusetts, serves on the New York City Bar Pro Bono and Legal Services Committee and the New York State Bar Association House of Delegates, and was formerly on the Board and Leadership Council of the Association of Pro Bono Counsel.